I am originally from Sydney Australia but born in China (Guangdong), now living in Berlin. I studied with Master Yang Shou-Chung for 2 years in Hong Kong from 1978-1980 and was offered a chance to become a disciple to take care of the Australia/NZ territory not yet occupied by the other three (Ip Tai-Tak, Chu Gin-Soon and Chu King-Hung). The offer for me (done through Mrs Yang in Cantonese who attends each of our private classes and make sure I’d pay my fees on time; this offer was for me only and I cannot say it is for the others as well) at the time it was a financial proposition and it was an obligation free discussion. In the deal I have to pay a certain amount up front (bishi-laisi money or lucky money for the discipleship ceremony) and afterward to do annual (or there about) training in HK for another fixed fee, then each student I get using the family discipleship tilte, Master Yang will take an annual “membership” fee from them. I was tempted but declined because at that time I have a young family and was struggling with my architectural practice. 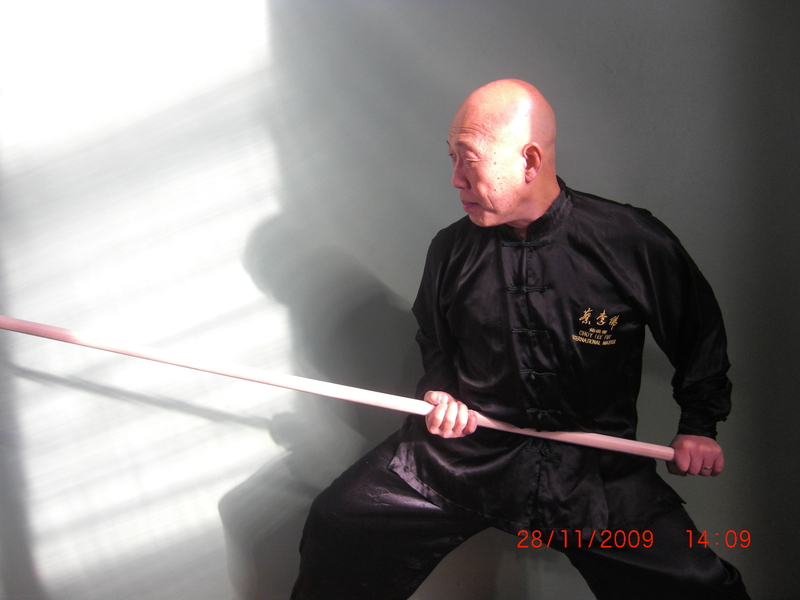 I knew Erle quite well; we used to practise together every Sunday with some of his students like Tony Ward (who went on to study with Master Huang Sheng-Shyan, much to the displeasure of Erle). As far as I know, the reason why Erle left Master Chu was because he was asked to make similar contributions to be named as Chu’s disciple. Looking back, when discipleship is based on a financial arrangement with a territorial right and not on genuine commitment to the art and skill, it seldom works out well. After Master Yang Shou-Chung died in 1985 I went to see Master Chu Gin-Soon in Boston, Master Ip Tai-Tak and also Yang Ma-Lee (Master Yang’s daughter) in Hong Kong (with Sifu Chen Yong-Fa of Choy Lee Fut) but ended up furthering my Yang Family Taijiquan study with Fu Zhong-Wen’s son Fu Sheng-Yuan from Perth and also with Chen Xiao-Wang (Chen Family Taijiquan) in Sydney (Master Chen Xiao-Wang stayed in my home for a few years). Master Chu King-Hung was the only disciple out of the three who refused to see me in person (“Go learn from Ma-Lee”, he siad). I have never heard of the Snake Style Tai Chi Chuan from the Yang Family and nor from the Fu Family either until recent time from a younger genearation of students. 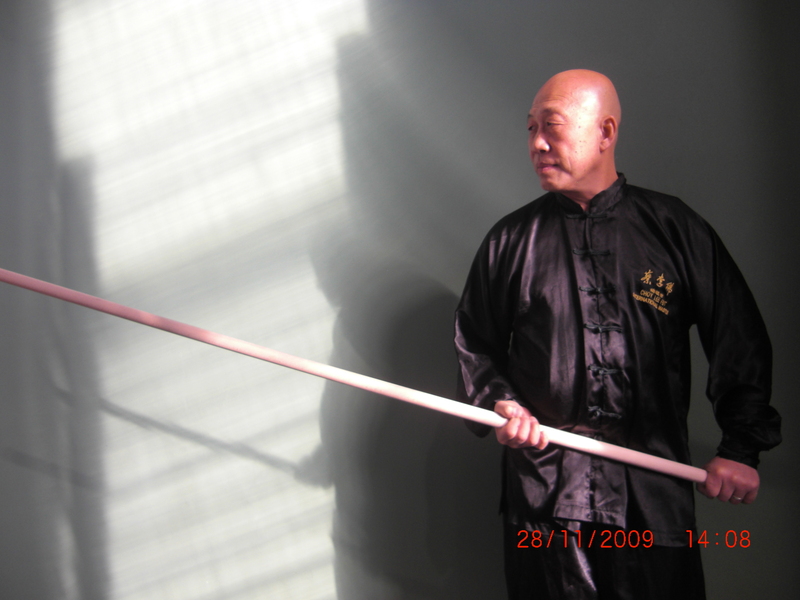 When Master Ip was alive, I went to visit John Ding (Master Ip’s disciple) in London and he did not mentioned the Snake Style at that time as well, so I would imagine it was a made-up thing after Master Ip’s death, by his disciples and not directly from the Yang Family. 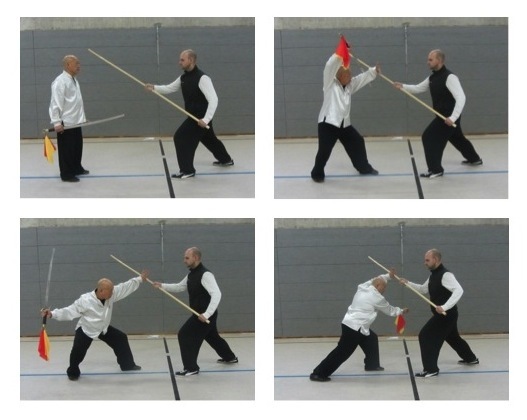 Master Yang did teach a family long-form, which an ex-pat dentist from Canada was learning from him at the same time I was taking my private lessons. I might have said things contraversial and made what is private and confidential public, but it is better to write them down now that I am 65, at least there is a first-hand record of what went on in the 70s and 80s as compare to now, from my perspective (needless to say) as one of the few private students of Master Yang Shou-Chung towards the end of his life. Choy Lee Fut Luohan Qigong (Lohan Chi Kung in Cantonese) is an internal exercise that uses movement and breath control to manipulate the flow of Qi along the body’s meridians. It is both a physical and mental exercise. Inwardly, it is done to cultivate the “three treasures” of jing (essence), qi (vital energy), and shen (spirit). Outwardly, it is practiced to build a strong and healthy body. The main purpose of Qigong is to develop one’s vital qi (chi) or the vital energy that keeps us alive. It can help realize the body’s full physical potential, resist sickness, repair damages and balance the bodies’ energy flow. The control of respiration plays a central role in the system. The use of the breath is a fundamental aspect of Qigong practice and is the key to energy control as well as the bridge between the body and the mind. The elderly for its specific therapeutic or rehabilitative properties can practice Qigong. Athletes and martial artists from other systems of martial arts to compliment their other training can also practice it. It has been established that Qigong stimulates the immune system and is favorable for the healing of inflamed and degenerated tissue. It has a calming effect on the nervous system and is therefore beneficial in the treatment of anxiety, insomnia and depression. 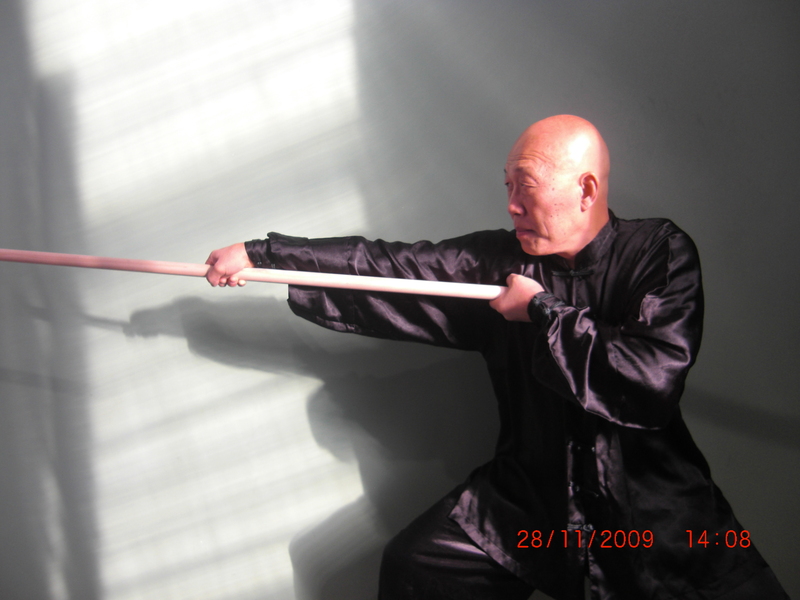 Also, for the student of martial arts and Taijiquan it is a means of furthering one’s study and improving one’s skill. 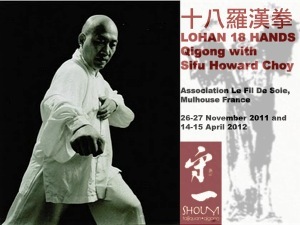 In the coming weekend workshops (26-27 November 2011 and 14-15 April 2012) we will teach the Sap Ba Lohan Kuen or the Lohan 18 Hands Qigong form, which emphasized on using correct postures and movements to activate the circulation of the Vital Qi in our body. 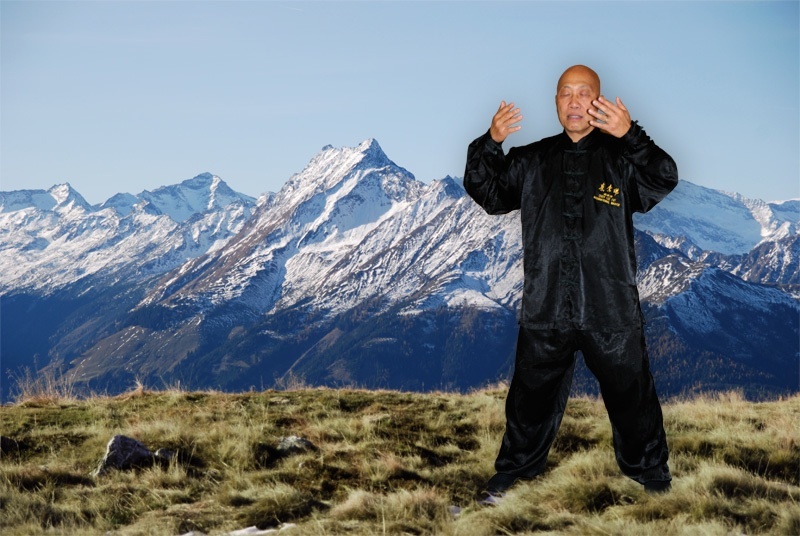 It is most suitable for those who are interested in a classical approach to the practice of traditional Qigong as taught in southern part of China within the famous Choy Le Fut Martial Arts School. We made this promo piece to test the water, so any comments would be appreciated, especially the approach we have taken, the aim is to produce a creative expression of the Taiji and Qigong forms based on the artist’s take on the subject. 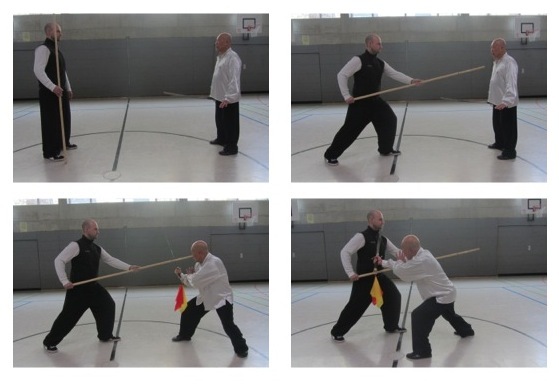 Julius Ebner (http://www.taijidao.de/) took this picture of me doing Zhanzhuang (Standing like a Stake) and did a photomontage for fun, thanks Julius. 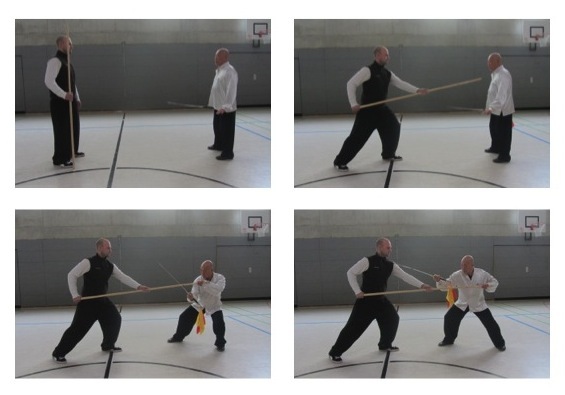 Some rejected publicity shots for the next year’s workshop on the Taiji Spear in Nantes, France for Thierry Doctinal’s group (http://www.tai-ji-centre.net/). I am looking forward to teach this form since I have not taught it for a long while and that will force me to do some practice!